Las Penitas, Leon Costa Rica dominated from start to finish tenth and final stage of Latin Tour culminated today in Playa Las Penitas of Leon, Nicaragua. The three, four categories were all overdue disputed by Costa Ricans, Pro Junior, Ladies and Longboard, while the Open division was boosted by the Ecuadorian Jonathan “Jack” Chila. 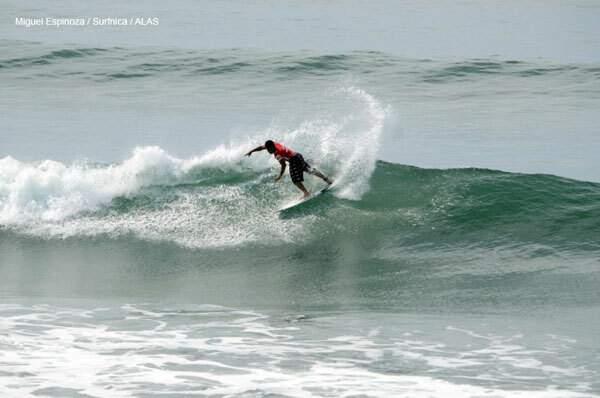 Managua, Nov 9 (IANS): Some 150 surfers from 14 countries are competing in the last round of the 2013 ALAS Tour Classic, taking place in Nicaragua’s Pacific Coast resort of Las Penitas, Latin American Surfers Association executive president Karin Sierralta said. The three-day event began in Uruguay and ends here Saturday, Sierralta told reporters Friday, adding the tournament has been hosted by 12 Latin American countries, reported Xinhua. Nicaragua, with ideal surfing beaches, is considered among the world’s 10 best spots for the sport and has since 2012 hosted similar international competitions organized by the International Surfing Association.